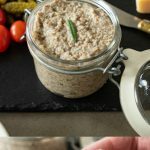 Mushroom Pâté is easy, light, yet very flavorful vegetarian pâté recipe that can be enjoyed by non vegetarians. Sautéed mushrooms are flavored with garlic, rosemary and creamy ricotta. Serve on crusty bread and you have wonderful spring and summer appetizer. 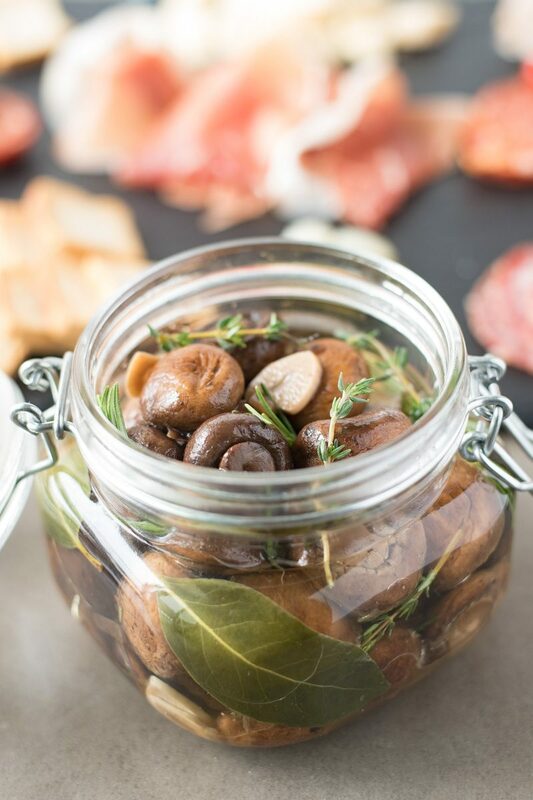 I love mushrooms, pretty much in any application and one of my favorite appetizer dishes is pâté and my favorite way to eat is antipasti-style. It’s a great way to eat for entertaining, or just hanging out on your deck on a Saturday evening with drinks and your husband, like I did. A healthy and lighter, vegetarian alternative to the classic liver pâté, I made this pâté this weekend to serve with antipasti along with Italian roasted red pepper relish (recipe link below) and the 2 pair perfectly together on a piece of toasted bread. What goes well with this mushroom pâté? 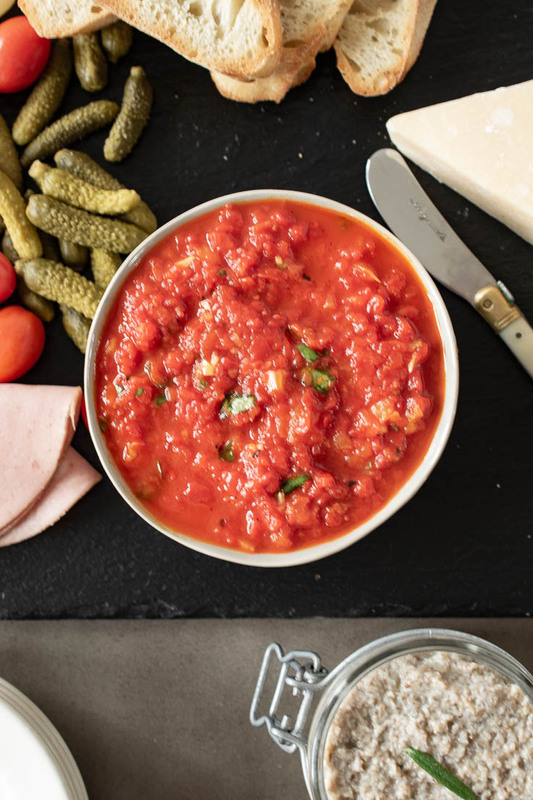 I like to serve it cold cuts like prosciutto and I made a fabulous and easy Italian Roasted Red Pepper Relish (< click text for recipe link) that you can see in the picture above I topped the pâté with on crusty bread along with some baby cornichons (pickles). Now THAT was a good bite. Use the pâté as a spread for vegetable or meat sandwiches. What are the best mushrooms to use? There is no mushrooms I would consider to be better over any. I used cremini because I like the flavor and they do have more flavor than button, but they can be used. I like to see what’s at the Farmers market for inspiration. A mix of different mushrooms would also be really delicious like wild mushrooms or shiitake and oyster. 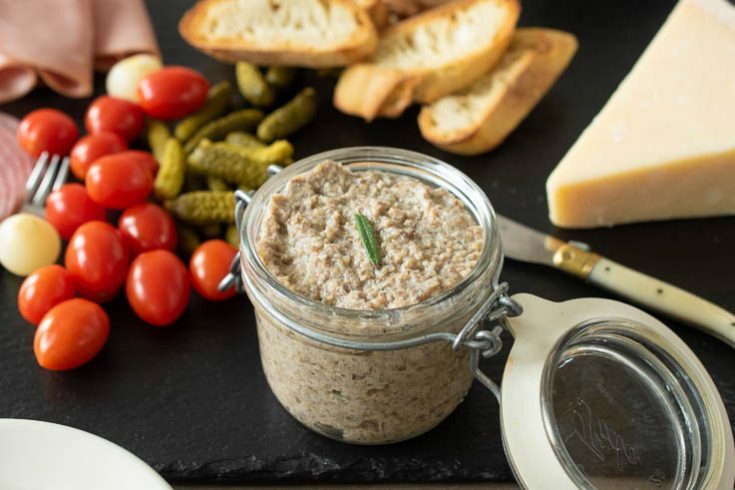 If you’ve tried this Mushroom Pâté or any other recipe on the blog then don’t forget to rate the recipe and let me know how it turned out in the comments below. I love to hear from my readers! Sautéed mushrooms with garlic, rosemary and ricotta is delicious vegetarian appetizer. To a large sauté pan over medium heat, add the oil and heat until it starts to slightly ripple. Add the mushrooms and cook until they start to brown, stirring. (see note) Add the shallots and sauté, until they begin to soften, 3-4 minutes. Add the garlic, rosemary, salt and pepper stir and cook for 2 minutes. Set aside to cool for 10 minutes. Add the mushroom mix to a food processor along with the ricotta and blend until smooth, taste for seasoning. Transfer to ramekins or container with a lid and refrigerate for 30 minutes until set. * Will keep up to 1 week in a sealed container refrigerated. You must use a large enough pan so the mushrooms are not crowded and cook in a single layer. If not, they will release a lot of liquid and steam instead of brown. This is what I love to hear and reminds me it’s been too long since I made this pâté. Thank you for the lovely comment. Yummy! This sounds delicious! Adding ricotta and mushrooms to my shopping list! What can I substitute for ricotta? Hello Ann, you could eliminate the ricotta all together and just replace with 8 ounces of more mushrooms. Thank you for stopping by. CAN we use a substitut for the butter? Hi Marie, I haven’t tried but you could try vegetable or canola oil instead. Will this freeze? Looks delish! Hi Cheri, I don’t see why not. Chicken liver pate freezes well, so this should be no different. Just make sure it’s sealed well. Thank you for visiting. This is just a wonderful creation. 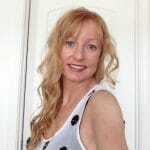 Kudos to you Janette! A friend always brings pate to our Thanksgiving feast,… and he’s not coming this year. I was bummed but now I just found this… SOOO excited to try it!! Thank you! Thank you so much Margo, I hope you enjoy it. Just a follow-up: I made this recipe this weekend, and featured it in my blog post today. It was wonderful! Thanks! Thank you so much Susan, I hope you enjoyed it. This looks so good! How long does it keep in the fridge? I am supposed to take an appetizer to a party this weekend – and this might be the one! The idea of pate doesn’t excite me but a mushroom pate excites me sooo much!! This looks fantastic. I’ll have to try this ASAP! You are going to think I’m crazy, but I was fantasizing about mushroom pate last night in bed. Specifically some traditional pate with mushrooms in it that I had in London (following our discussion of London vs. LA-ish stuff). In any case, it never occurred to me that you could make a non-traditional version with loads of mushrooms and ricotta cheese. What a clever girl you are! This looks fabulous! That is so funny. Thank you so much.